For several years, I've had this postcard hanging in my kitchen on the doors that surround our fridge. I often pin up postcards that are sent here or that I find at different museums. This card came from my friend Kay. I love the graphic quality of the cows and the vivid use of color. 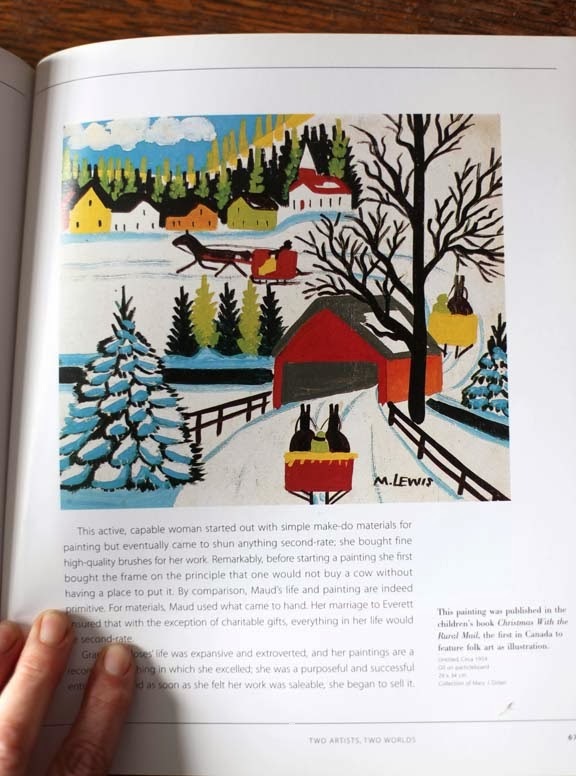 For Christmas this year, Kay gave me a lovely collection of books about the Canadian folk artist Maud Lewis. Wow - Now I could learn a little more about the artist who painted those favorite cows. I dove right in and read all of them cover to cover. 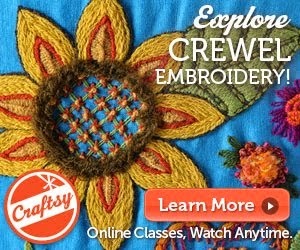 I thought some of you too would like to learn more about this artist who overcame and lived with incredible difficulties to become one of Canada's most beloved folk artists. 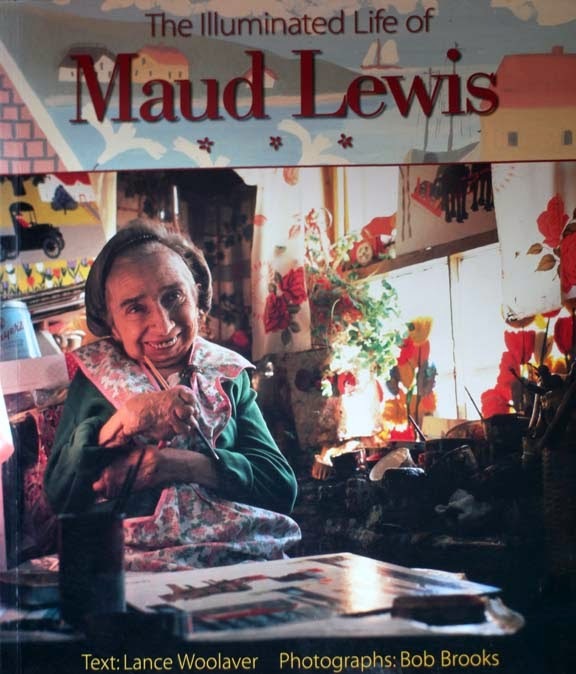 Maud Lewis lived and painted in a teeny tiny one room house beside the side of a road in Nova Scotia. She grew up painting Christmas cards with her mom. She had many physical challenges but didn't let that stop her from painting. I'm not going to tell you the whole story because it is more fun to discover it for yourself. The thing I found most refreshing about Maud is that she didn't worry about having the exact right supplies. She painted on boards her husband Everett cut down to size and used marine and house paints that were discarded. Nothing stopped this woman from painting all her life. The photo of her below is so sweet - she just exudes her love and joy of painting and color. The inside of her home is decorated with all kinds of murals. The outside too. Here is a short film showing Maud's home which has been restored and is on permanent display at the Art Gallery of Nova Scotia. If you want to learn more about Maud, you can watch the this short film on Maud. I found it via the National Film Board of Canada. I love to read stories about the lives of artists. This story is almost too amazing to be true. I'm not going to tell you much, just share some photos from the book. 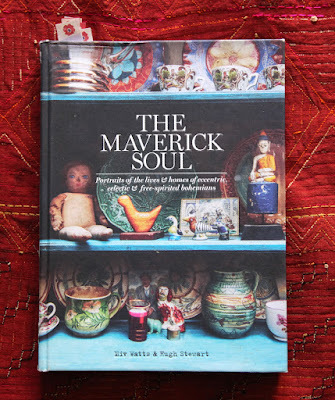 Maybe you will discover more about Maud and become inspired to paint, stitch, knit, or crochet your world too. Thank you so much to Kay for my fabulous Christmas gift. What wonderful , expressive work! And such a story to go with. I'll seek out her stuff. Thanks for writing about her! Maud is one of my favourite Canadian artists. I have that very same book and I love looking through it over and over again. I love those three black cats...just something about their eyes following my every move. Thanks for sharing. Thank you. Maud is my favorite Canadian artist and I want to hook a rug of one of her paintings. Hope the lambing is not too cold for you guys. What a wonderful post today, Kristin. I love your blog so much. Thank you for introducing me to this artist. I loved the little film about Maud. Amazing what people do with what's inside of them naturally. Thank you so much for this posting! 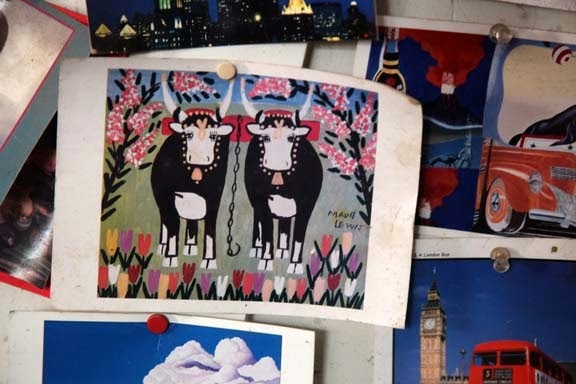 I love the little video, seeing into Maud Lewis' world. Thanks for sharing this, Kristin. 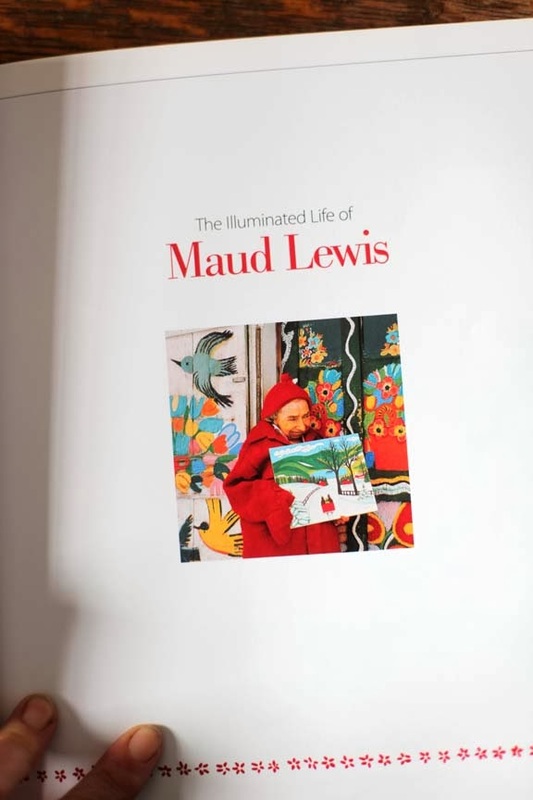 I was not familiar with Maud Lewis, and now I want to go to Nova Scotia to see more of her work. What a lovely bright note on which to start my Saturday. Thank you for sharing this info and the videos! What beautiful art Maud created. Another hugh thank you for this post and the video of Maude Lewis. So much to learn from this. Stay warm, love those babies. 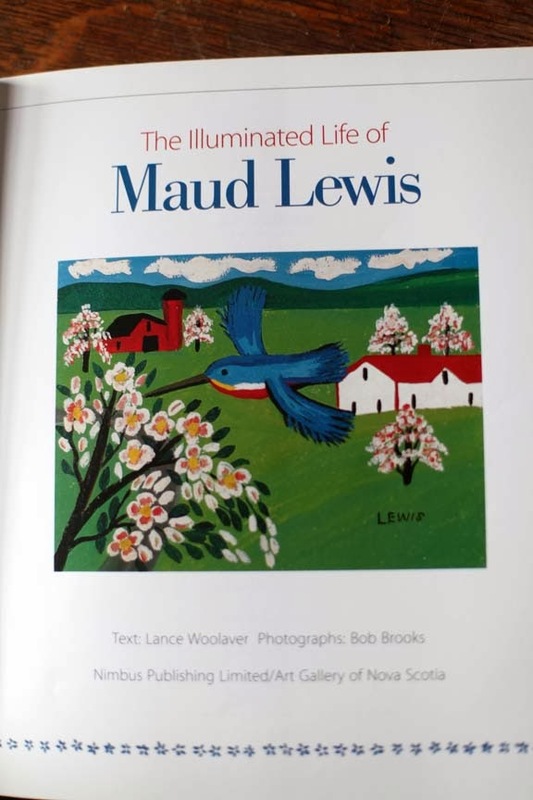 love this post and learning about Maude Lewis - thank you, Kristin ! 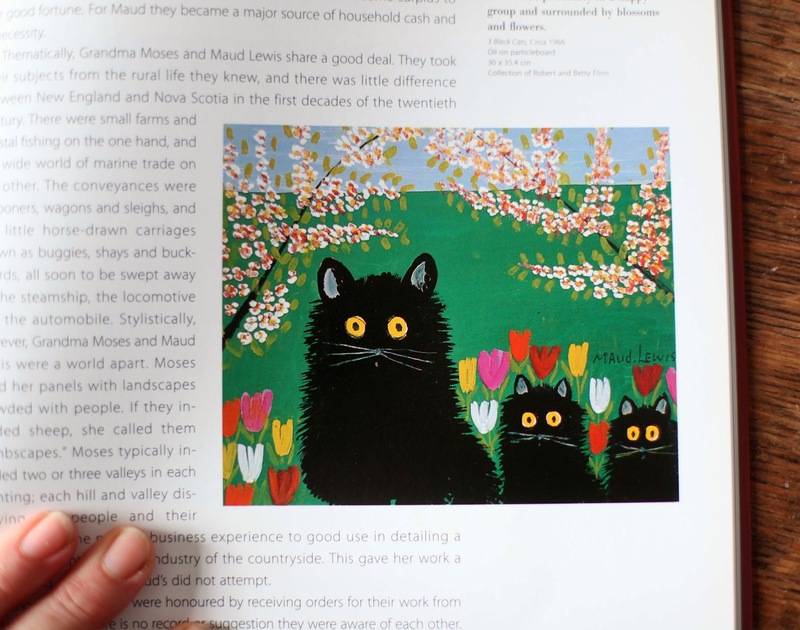 Just found your site and the wonderful comments about Maud Lewis. 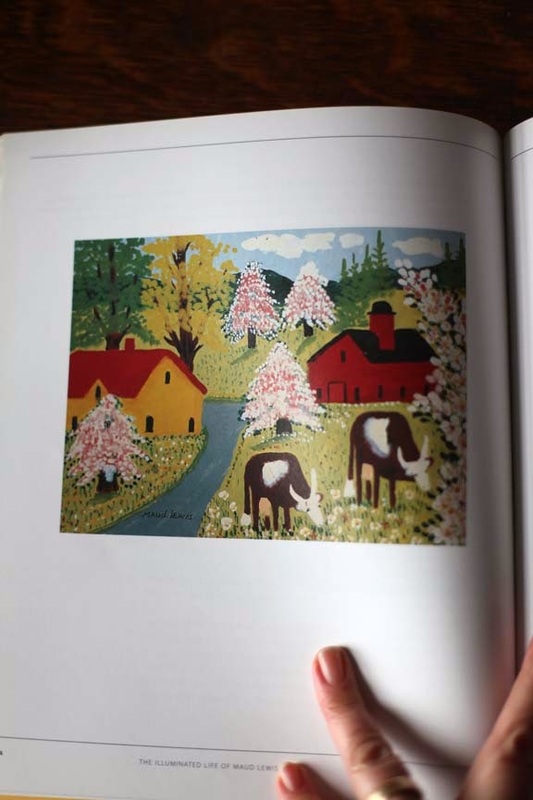 Thank you for those comments.I have an exclusive copyright agreement with the Art Gallery of Nova Scotia to reproduce patterns for rug hooking based on paintings by Maud Lewis. We currently have about fifty designs with more to come in the near future. We love Maud's paintings. She was an amazing artist with a wonderful sense of colour. Rug hookers tell me about the joy they feel as they hook these designs. With each pattern purchased, a royalty is paid to support the Art Gallery and Maud's legacy. My business is Highland Heart Hookery and I am in Halifax. My website is www.hookarug.com.